Nicely expressed again, Kathy. I like your honesty in mentioning that the premise is silly. Thanks, Keyur! I like my comments section to be a place for respectful disagreements (since most Internet comments sections aren’t), so I have to set the tone myself. I don’t care what both of you say. Soundtrack + twin brothers + Jackie Shroff makes this movie awesome for me already. Your endorsement, Kathy, just makes me even more cocky in my prejudiced prediction of awesome-ness prior to the movie’s release. 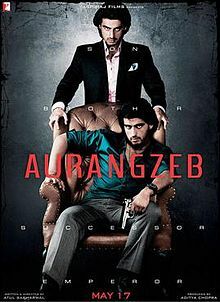 Hi Kathy, just saw this after your year end best bollywood list & it is a pretty good movie… all the twists are logical & there are no errors in the plot & screenplay. Pretty good one.thanks for putting this on the list!